We have updated spoiler info for the February 2019 Allure Beauty Box! If you subscribe now, your first box will be the January box. Hmm… I think I may be the only person on Earth that is NOT a fan of the Sunday Riley brand. I have received sooo many samples and have the Luna Night Oil all over the place. I have tried them all and see and feel no improvement in my skin. So I for one do not want to even try the CEO Glow whatever. I also am not a fan of the Sunday Riley products I have received. My skin doesn’t react very well to it😞. It’s for your face. Lol vitamin C is for brightening and lots of other ingredients for antiaging. I wouldnt use such and expensive oil on your feet. Get a regualr body oil for that. I’m not a fan either, I tried both the Good Genes and the CEO rapid flash brightening and couldn’t see any results. (And CEO also broke me out). I’m also not too impressed with their shady marketing tactic in encouraging their employees to write fake reviews on their own products. Haha… Im an not a big fan either- no results from luna oil, good genes, and especially not the CEO rapid flash brightening as that broke me out horribly & no other product has ever done that to me! You’re aren’t lying about these two products. My skin has a much more even tone plus where my scar from cystic acne was it’s waaaaay less noticeable! I’m glad you’re having positive results as well. Not a fan either. I gave all my SR products away. It’s all hype or maybe does good for some, not for others. You want to trade for the oil? How about good genes? Have that sample. I loved how it makes my face while I sleep. I am not loving the Sunday Riley brand at all either. The CEO Glow really irritates my skin and eyes. I agree, and if I stop getting it I will feel like I’m missing out on something. It never goes to waste, things I don’t use I make Christmas goodie bags that always get big smiles! So worth it for all involved. Absolutely. I actually love the fact that I have goodies to share in addition to all the stuff I use myself. It’s definitely not just you. I have found so many products I can’t live without through this box and it’s also saved my ageing skin. I’d cry if I had to give it up. I love Allure, even on the not so good months. Just received email from allure with my tracking number. After all the confusing emails on Thursday, i was pretty shocked. I guess should expect my box in a week or so. Hooray! I have the same thing happenning to me. My email was on the 24th and now the 28th the tracking number still says awaiting item. I’m most interested in the see through bag for some weird reason! Their shipping is erratic and unpredictable at best. Plus I always get the tracking number on the day that my package arrives. I ordere allure through amazon on dec. and I got my December box Jan 2. And they charged me for Jan box on the 4th. I see that everyone who gets it through amazon has had it shipped. But I haven’t even gotten a notification and it’s been about two weeks. Should I call? Cancelling again, as soon as I safely can! Re-subbed specifically for the SR products. Maybe this is just me, but I am really over this pink eyeshadow trend…. What? You don’t like walking around looking like you’ve got an eye infection??!! Guess its lucky that’s not eye shadow then. it is most definitely eyeshadow lol how could it not be??? Liz listed it as eye shadow. Therefore, it is eye shadow. You’re correct, It’s a highlighting cream trio. I was confused myself so I googled, lol. Why are people so upset because their box is running a little late? I bet you tons and tons of people subscribed just to get this box.Not only that but I see tons selling the SR items. The Glow item isn’t even out yet that’s why I say this and people are selling it for 40. The delay is not the problem! Its Allure poor communication and poor customer service. Very much so I just called them and there so rude..
To answer your question, because they charged me on January second. I just called and the less than amicable lady told me they are so late i would receive it well into February. In today’s day and age, i expext a month to be sufficie t time for a company to send me something i already paid for. So, that’s why. I agree. If they are going to charge us at the beginning of the month, the box should be sent right away. Don’t charge me until you actually send the box out. That what any other good company does. I called twice and emailed which they never responded.. I love allure but the condescending customer service wow makes me wanna rage cancel. So. Damn rude. So… at this point, do you think it’s a waste of time trying to order another January box? Not crazy about the random bonus item. That’s way too Boxycharm for my liking. Amazon gives you same stuff Allure does. They didn’t give nail polish because it was not in stock and are mailing it separate. Lisa; ALLURE did that to me as well. We get 2 boxes for the household and both came without the polish and when I called CS, they told me they were out of stock and would mail them. They did just that and we got BOTH bottles about 10 days later. LOVE the color too! I’ve been subscribed through the regular service for I don’t know how long. Do you not get bonus items through Amazon? I also got the hair brush. Didn’t expect anything else. Yesterday I got the nail polish? LOL…who complains about a free bonus? I must be getting old now that free is out of style. I guess bonuses were sooo 2017. Smh. If it’s free and from a reputable brand, why not try something new? Man, the things that come out of some people’s mouths are astounding. The box was already great on it’s own. I think that people who use beauty subscription boxes don’t understand the point of them. I only am keeping this box active until I get the darned Wander mascara. It’s literally the only mascara that doesn’t give me problems. I’ll be doing well to get mine by the end of the month,the way things are going. I would do it the day you receive your box or the day after. Call customer service, don’t bother emailing. Lol. That’s the longest run on sentence i’ve ever typed. Sorry about that….insomniac here. How do you skip a month? Can you still do that directly through allure? I haven’t recieved an email from allure on this months box but I did get charged for it. I signed up for December’s box than immediately canceled but when I received my first box I loved it than resubscribed. I hope I don’t have any issues in the future since I resubscribed with them. Just wanted to say that my CEO serum arrived in the past week! (not sure of the exact day because I was traveling). I called about the SR serum and was told it shipped out as of Wednesday! Yayyyyy!! Hope it makes it here without anymore problems lol. Y’all can skip February if you want. Allure is doing great with product but everything else is sub par! According to the ad in the new issue of Allure, it’s the Unlashed. I got that in another sub and still haven’t tried it. I am still waiting for my Allure Magazine😬. They’ve gone to what appears to be an every other month print issue focusing on one subject. They send out daily or more emails that read like column articles. I’m kind of disappointed. 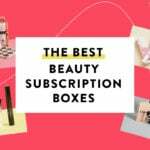 I’ve subscribed to Allure pretty much since the beginning and they’re really started to cheap out. Hmmm I thought they only combo the December/January issue. I am going to pay more attention to how many they combine😬. I did finally get my February yesterday. “Each box will include 5 editor-curated products in deluxe size*, with a total value of at least $50. Our editors select a mix of luxury and indie brands to include in each box. We sometimes include a bonus product (or two) from a mass brand, as a free, value add to you. They may not owe us spoilers, but they do publish them. And once those spoilers go out, we expect to receive what is advertised and get it in a timely manner. Don’t get me wrong. I love Allure and have been a subscriber for years with no plans to cancel. Tammy g, I second this!!! Allure just sent me an updated email after the confusing one from this morning about the refund and bonus box. I will be getting the Jan box with all the Sunday Riley and Ouai goodies. They are supposed to ship next week. I’ve been a subscriber for years. I was sent the same email. I just called them. They said there was to be no refund and the box would be shipping out sometime next week with the complete products.The delay they said they had was they were waiting on the nail polish. Basically they told me the box would more than likely not get to me until Feb. It was up as a spoilers way before Xmas, so the polish at least isn’t leftover Xmas stuff. They knew they were going to be shipping the polish. You’d think they’d have the supply in place when they were ready to ship. Or at the very least first dibs on any new production. same here ! I only care about the SR products, the rest are icing for me. I also received 2 emails from them. The first one said I’d receive a refund and they’d send tracking info next week. The 2nd email said that they made a mistake and I’d still get my box, but tracking info will go out next week. I signed up 6/18, took 2 months off and I’ve received every box since September. I know a lot of ppl have mentioned it but I rly think the model co item is not an eyeshadow trio. I’m pretty sure Its a small blush, bronzer highlight trio. It matches what’s on their site exactly. You guys still keep listing it as an eyeshadow trio though despite us telling you we are pretty sure it’s NOT eyeshadow lol. Allure Magazine says it is eyeshadow…. Sarah, I actually got an Eyeshadow Trio from MODELCO and it’s quite pretty. The name of the “Metallic” shade range is called MYKONOS. There’s a champagne, a highly pigmented brownish bronze and a darker but not as pigmented burgundy. It seems this item is a variant. liz, can you please find out why ordering thru amazon we don’t get the bonus, ask allure if they are planning on sending this out to us or what, I would like to know and for the future of bonus items thru amazon? thanks, you do so much for us…thank you liz..
Wait…wasn’t the SR C.E.O Vitamin C Serum a full size? The CEO glow is a facial oil and the 1/2 oz size is full size. The CEO serum for the Nov promotion was a 1oz serum. The Serum has always been listed as 15 ml and since that is only size it comes in it is considered “full size” don’t you love how that works? I think this will be my last month for this box. I signed up in November, received that box but never received the free gift even though the card inside said that I would be receiving one. Received my December box at the very end of the month. And now I received the confusing email that everyone else is talking about, so I have no idea what I am receiving or if I am even receiving a January box. I subscribed under a 3-month promotion and I don’t want it to auto-renew for another three months (and that February box isn’t very interesting for me). I saw someone post a copy of their email to amazon about not receiving the nail polish in their box. The reply said something about the nail polish being delayed and would be sent separately. So hopefully everyone will still be receiving the nail polish, just later. I recieved a letter saying they were out of the CEO serum a d would not be getting any more. I called and asked for my money back for Nov, Dec, and Jan. They said they would. I signed up when they were offering the Caudalie serum free, and was expecting to wait months, but it was inside December’s box! Of course that meant I got the cheap bliss eye mask variation so it all fit. But still! I was so pleasantly surprised to the the serum in the box. Their FAQ states it can take 20 days for your first box to ship. There’s been holidays in between also. They can’t cancel before your box has been shipped so I’d wait until it comes. It’s frustrating but they do send it and Jan is one of the first delayed boxes in a long time. I thought the NCLA polish would be the best part of the box this month, and now you’re telling me that because I get it through Amazon, I won’t get the polish? And what won’t I get in February? I will GIVE you mine if you pay for shipping. I do not wear red polish and would hate to waste it. You will get it! Amazon said it will be sent separately. The nail polish is what is holding up Allure’s boxes since they are still waiting on it. Amazon is just sending two shipments instead of waiting. Also you won’t get the full size SR either. The SR CEO glow has been in all the Amazon boxes so far just not the polish. Allure doesn’t have it yet. False, CEO glow oil is one of the box items. I got my box through Amazon and just received the NCLA nail polish yesterday (Feb 2). Would have got it sooner, but the weather held it up. I signed up through Amazon and got the nail polish yesterday (Feb 2). Would have been here sooner, but was help up by the weather. Am I the only one that is sick and tired of Allure’s lascivious of customer service and the whole variation thing? Yes!!!! Took 10 days to get my box cancelled. Finally got a confirmation email yesterday with a chance to keep it anther 4 months at $10. I had to laugh because they have only been charging me $10. for all of last year. Lascivious customer service can be fun. Won’t let me post the link. Thanks! I think they copied/pasted when creating the new email. The refund part only showed up in my preview pane, and if I copy paste to a new email… i do see it. But, that would totally not make sense to refund, give a free box, and then ship January. They are late, but not that late in shipping! Actually next Friday is pretty late… I won’t even get my box until February now. thanks! I got that email and was wondering about that. Me too, the email was definitely confusing. What’s inside of the January box! I received my amazon box a couple days ago. It has the SR products in it, and I got the amika hair mask. It does not have the nail polish, as that’s a bonus item for those subbed through allure. I read on Rddit that the delay is due to them waiting for the polish. Nope, not for Allure only. I contacted them through Amazon and they told me it will be shipped separately for Amazon subscribers! That’s great! Thanks for letting us know. I had accepted that we wouldn’t get it so now it’s a treat! Same happened to me with allure. Literally all the same. I don’t even know what’s happening. I got my Jan box via Amazon and it came last week with both SR products and the amika, no nail polish tho. I received my January allure box from Amazon last week. Had both of the SR products in it. Thank you to all who responded. I did the same as some of you, ordered a second through Amazon. I am ok with not receiving the nail polish through Amazon, but yes to the SR products. I will just keep calm and hope good things come my way! Again, thank you for all the kind replies! I received a full size Sunday Riley vitamin c Tuesday in a package with no identification. I assumed it was allure but I am not sure. I also got the email you are referring to. Strange. How do you order from Amazon? Are they better at fulfilling? Amazon is best way to go and the only way I ever subscribed. You get your box 7-10 days after you order and can subscribe and cancel online you don’t have to call. You just go to Amazon do a search for Allure beauty box and order it. I got the same exact thing. Super weird..
Something is seriously wrong when they can’t even get an email right. If someone actually figures out what’s going on, please post it. I might resubscribe in February, but cancelled last night through Amazon. If you’re worried about cancellation and whatnot, if you sign up through Amazon, it’s very easy to cancel that way. So, here’s the weird thing about that email. The subject line says that they are processing a refund and sending me a bonus box, however, nowhere in the actual email does it state that. It only states that my box is shipping soon and I should recieve an email with tracking info. Okay, that’s the same thing I got, I even tried viewing the email in a browser to see if I got a different result. Me too. Hopefully we won’t be charged for feb box by then. Sometimes I wonder if they string deliveries out long enough to get another month out of people so they can’t cancel. Their customer service agent seemed so nice and genuine. She offered me bonus items (I never received) and said the box would be sent right out so this is disappointing. I get my box through Amazon and we didn’t get bonus nail polish so probably won’t get this bonus either. Also I went to Model Co website and they had something that looked like the eye shadow shown but it was a cream blush,highlighter,bronzer trio. When did your box ship? Also did you get the SR products in the Amazon box? My box has not shipped yet which is really weird I ordered on 14th and with Amazon it usually ships in day or 2. I just know it won’t have polish because nobody else who ordered through Amazon got polish. Allure has not shipped either because they are waiting on polish. But yes the Sunday Riley was in there and hair mask variant. Oh man I got the same email about the delay in the January box 😕 if it’s not the original January box I’m going to cancel since this box doesn’t really appeal to me. I received an email yesterday or the day before that they are out of the CEO and would be shipping a substitution. I have a feeling that their idea of a suitable substitute and mine aren’t going to be the same. are you talking about the CEO in this months box, or the bonus for signup in November? I just got the same email about a refund but a courtesy box. Makes me wonder if they ran out of January and are refunding me but sending a random box instead. I also got the similar email. My friend who subscried for the first time for Sunday Riley already got her tracking info. So mad at allure. I just got that email too. It says I’m getting my January box and a refund. Don’t know if my January box will be vastly different. I just got the same email! This is their best box in a while. I hope I get the advertised products! I’m a new subscriber (sort of. Quit early last year and resubscribed for the January Box.) I got the same email. I’ll be mad if it’s a substitute box. They shouldn’t accept new subscribers if they don’t have the inventory. No it’s because they had a glitch that billed some people twice, they sent them an email. Someone left the pretext header in the email regarding the refund. The CEO they’re “out of” is from a November promotion nothing to do with January box. I swear I shouldn’t read the comments on MSA anymore for the most part. Me too! I was worried they were sending refunds and not boxes as I was looking forward to this one. Nice gesture on their part. Definitely an improvement on what I normally hear about their customer service. I’ve never experienced any bad CS experiences, but I am definitely aware they have issues with customers. I hope this is a sign that 2019 is going to be a year of improvement for everyone’s experience. Good on them for doing this right away. I just got the same message! I’m just hoping that I do get my box because I was really looking forward to it. I don’t have much faith in their customer service due to bad past experiences. Same thing with me. I can only see it (the refund part) before I open the email. I better get January since I have been subbed for years without cancelling! Same thing here. When I opened the email and selected everything (CTRL+A) I saw the part about the refund. They wrote that part in white font! Serena my email does the same thing. Same. Not feeling very good about it. I only resigned up because of the January box itself. The email is unclear if it will be the January box or a different one. Why don’t you contact the post office about the missing package? It is no longer in Allure’s hands but you can ask the post office to track it down for you. I don’t understand the outrage over a slight shipping delay? In my experience, allure bills the first week of the month and ships the third week of the month. Oh, the horror of them shipping a week late! 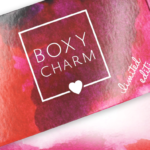 Why are your hopes so dashed over a week-long delay of a $15 beauty box? You’re aware that there are people in the world with real problems, right? I still have not received the promotional full sized Sunday Riley ceo serum from late november. I have been told many different things by customer service. Has anyone received theirs ? I received the Sunday Riley product on Tuesday. It’s a full size, 1oz, CEO Rapid Flash Brightening Serum. This product is $85 at Sephora. This arrived in a single item package and I assumed it was from Allure. I’m happy even if I get nothing else. I got the Sunday Riley CEO Serum last Friday. No shipping info or email. It just showed up in my mailbox !!!!! I got my ALLURE January box last week and was disappointed to not find the NCLA Nail Polish. So I contacted them through email (never a great idea for fast service) BUT they responded immediately and said they sadly didn’t have the polish in hand when mailing out the box. Odd, but they did mail my box out on the 3rd….in any event, they said they will be mailing the polishes separately. If you’re subscription is through Amazon that happened to everyone. I believe the nail polish issue is why people who subscribed through Allure have not received their boxes yet. I just wish that The BrowGal brow gel was full-size. Allure states that their “Early Access Kit” is a value of $230. The 1.0 oz Good Genes costs $105 and the Retinol Serum is $85 (via Sephora online). So $230 minus $105 minus $85 is $40 for the new CEO Oil. Liz made a post about it. Have hope. I was told I wasn’t getting the caudalie and it was in my december box. Apparently the packing department and customer service dont communicate at all. Hope it works out in your favor! Received an email in advance, and sure enough, the CEO Serum showed up. Just bought the full size of the A+ from Sephora today, so I’ll be happy to have a travel size and sample of the Glow. Customer service finally responded to me yesterday and told me there was no indication in their system I should be getting the CEO. I’m pissed because that’s why I signed up and their website was still prominently displaying the offer when I did. I let them know I’m not happy. I recieved a letter saying they were out of the CEO serum a d would not be getting any more. I called and asked for a full refund for Nov, Dec, and Jan. They said they would refund all. Wow they really refunded you for 3 months worth of boxes because they ran out of the free gift.